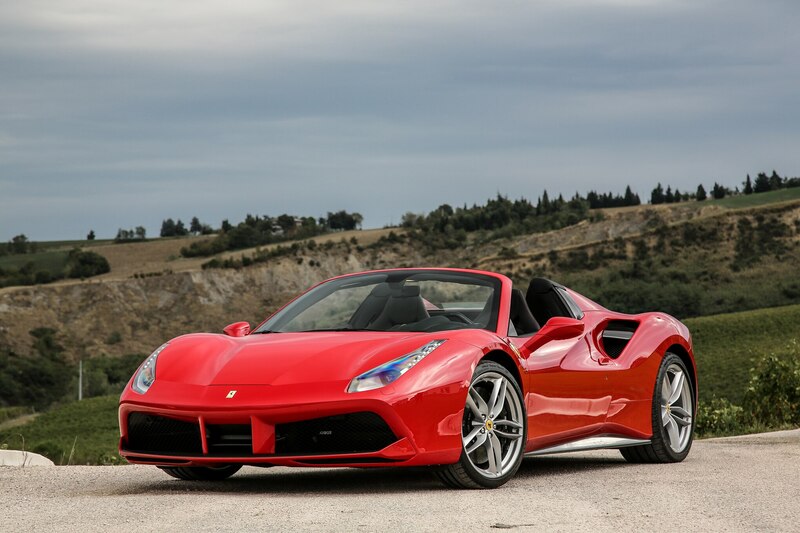 There’s a strong case to be made that the Ferrari 488 Spider is the single greatest modern automobile for sale in all the world. 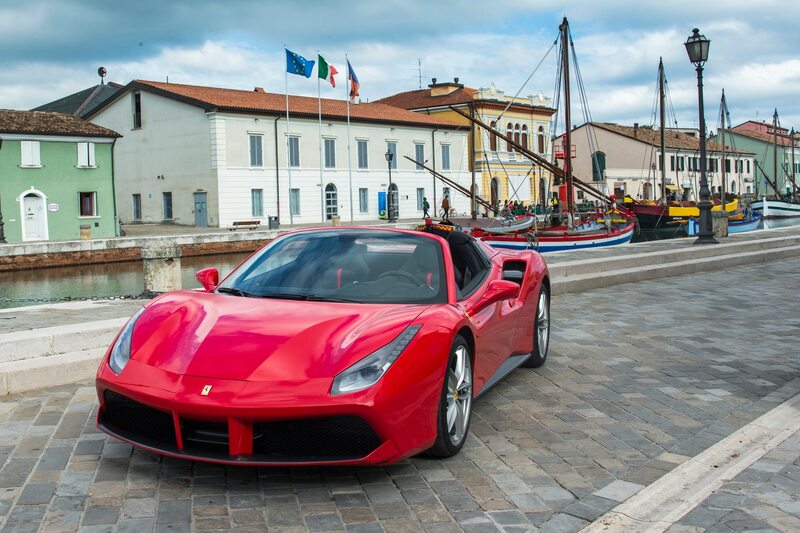 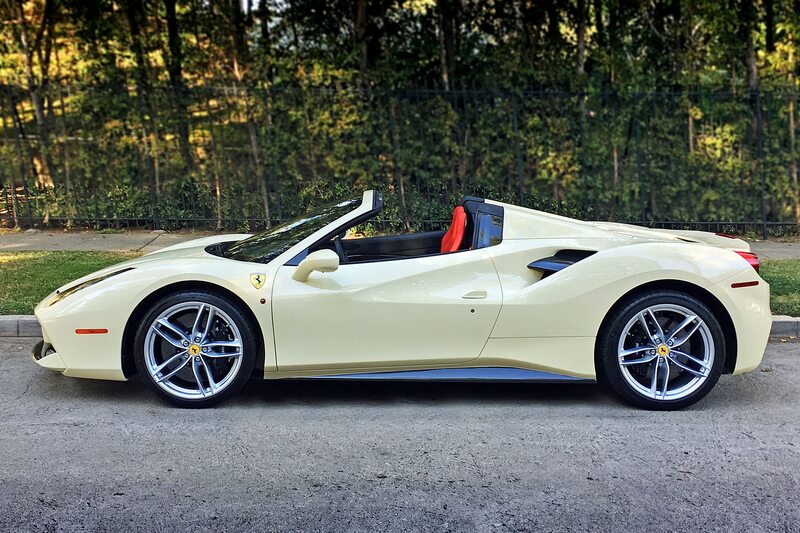 The test car arrived dressed in a historical color first seen on open-top Ferraris from the 1950s and 1960s. 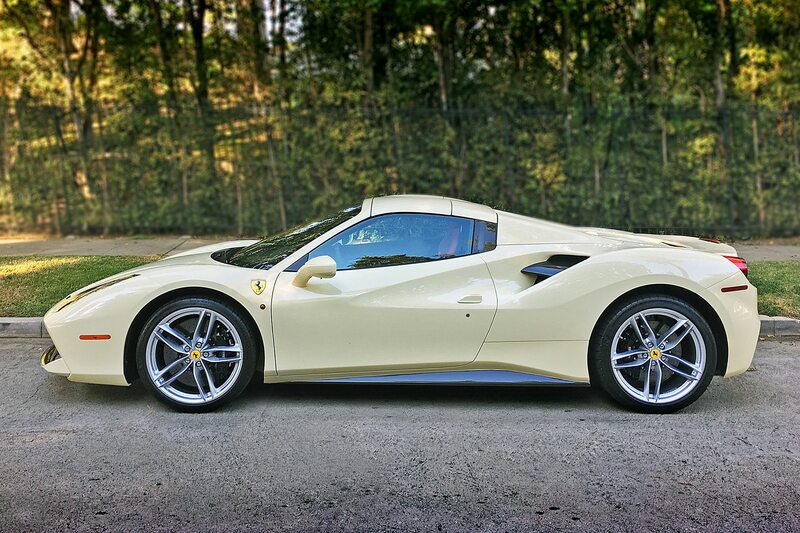 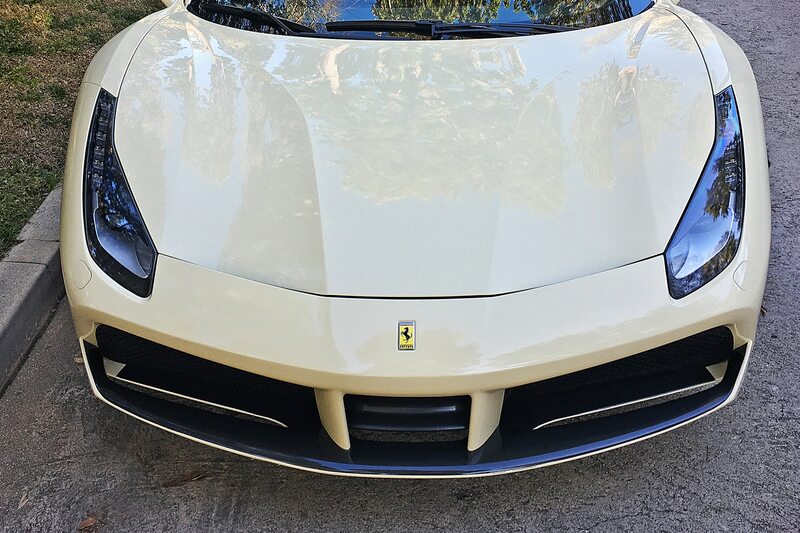 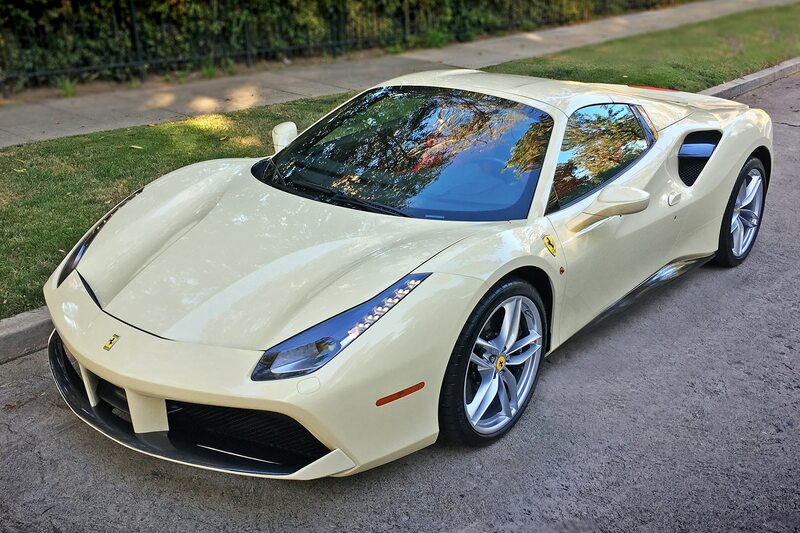 Dubbed “Avorio,” it’s a rich, ivory shade that at first seemed unusual but steadily grew on me the more I lived with the Ferrari. 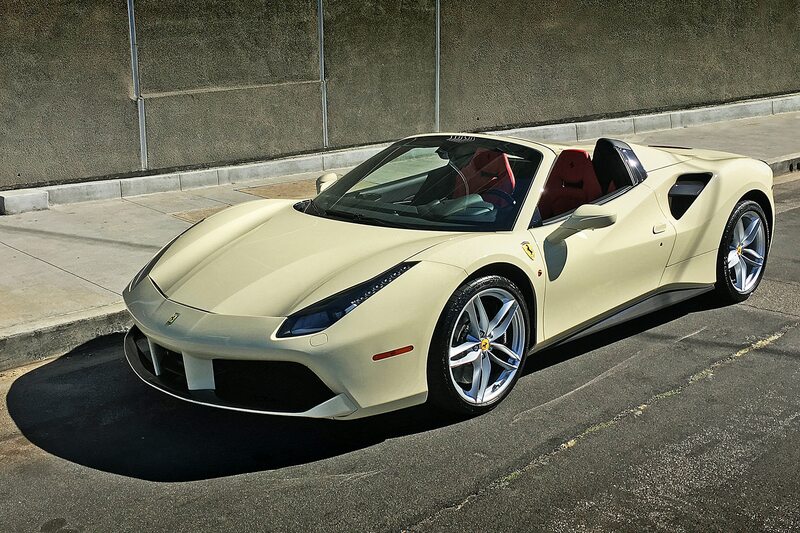 The paint worked especially well when the folding Spider hardtop was down—thereby showcasing the contrasting red-leather seats, belts, and trim in the cockpit. 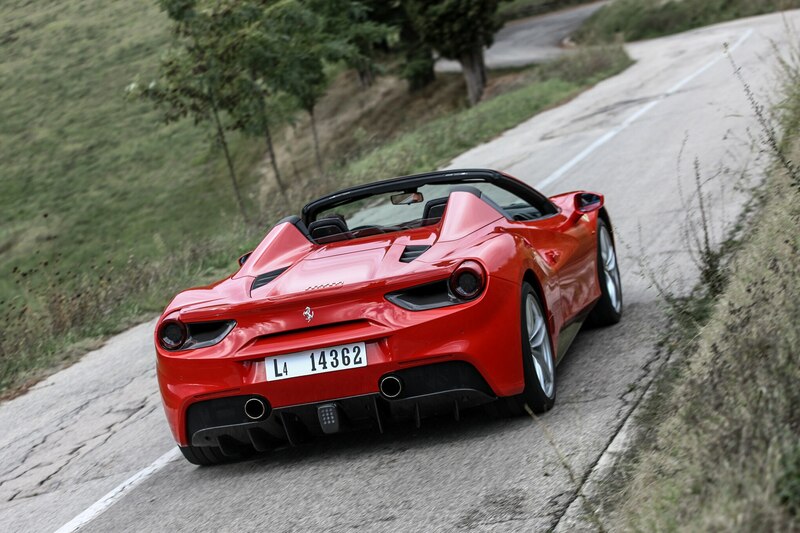 It’s a striking combo and, frankly, a refreshing departure from the usual racing-red paint with black hides inside. 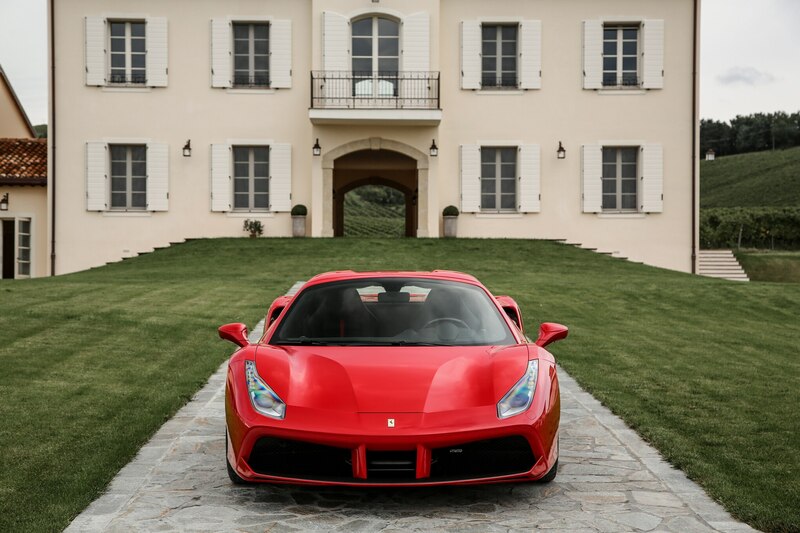 The quality of this automobile is simply in-your-face. 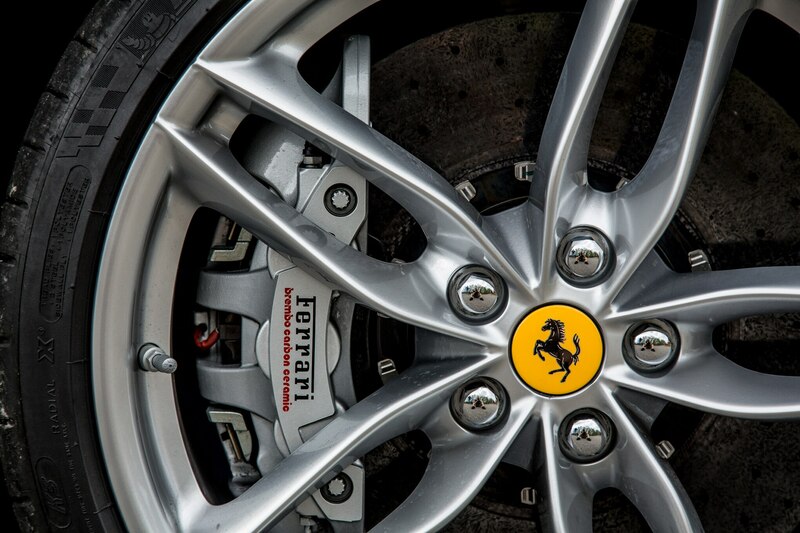 Wrap your fingers around the fat leather-and-carbon-fiber wheel. 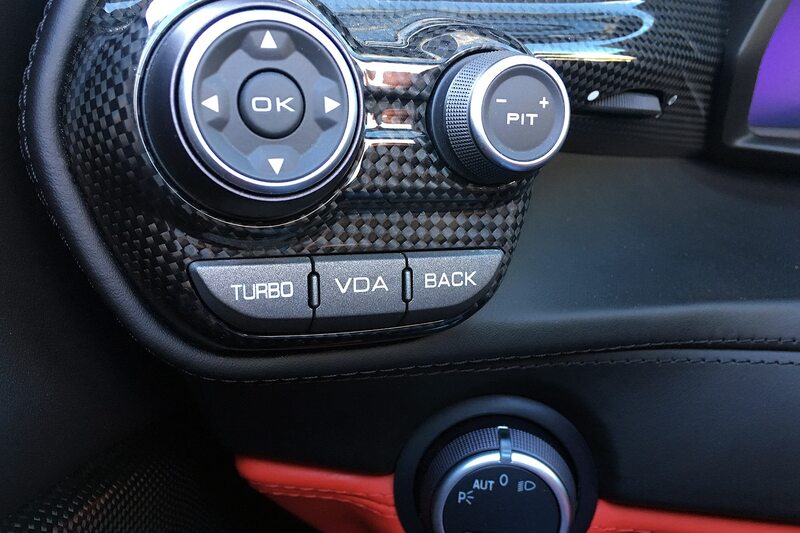 Ahhhh. 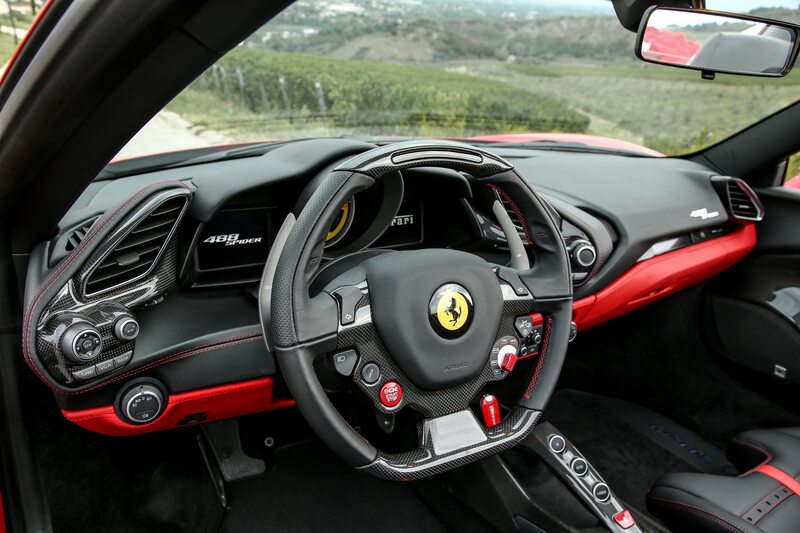 Fits like a Ferragamo glove, with a thickness at the 3- and 9-o’clock positions that feels so right you wonder why all steering wheels aren’t designed this way. 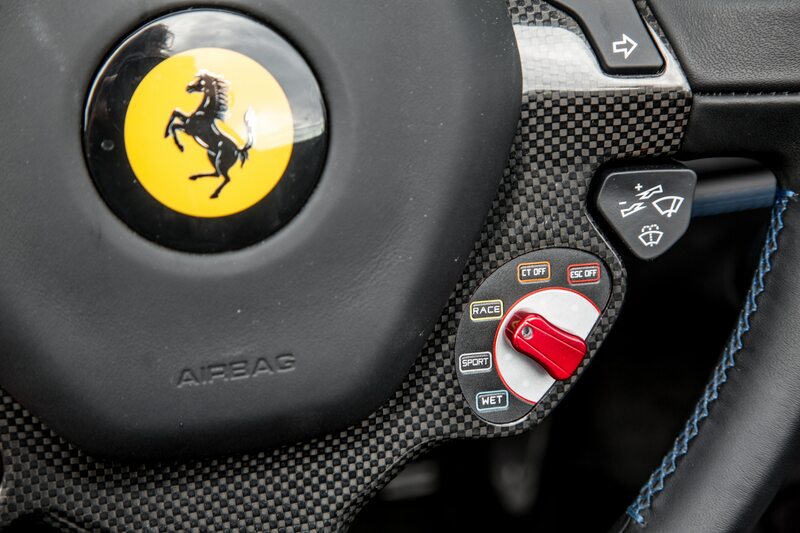 Buttons for the horn are recessed into the leather above where your thumbs lie; other switches include a big, red start/stop button, turn signals you press at right or left, a shock-firmness button, and, of course, Ferrari’s famed manettino dial for choosing your preferred driving mode. 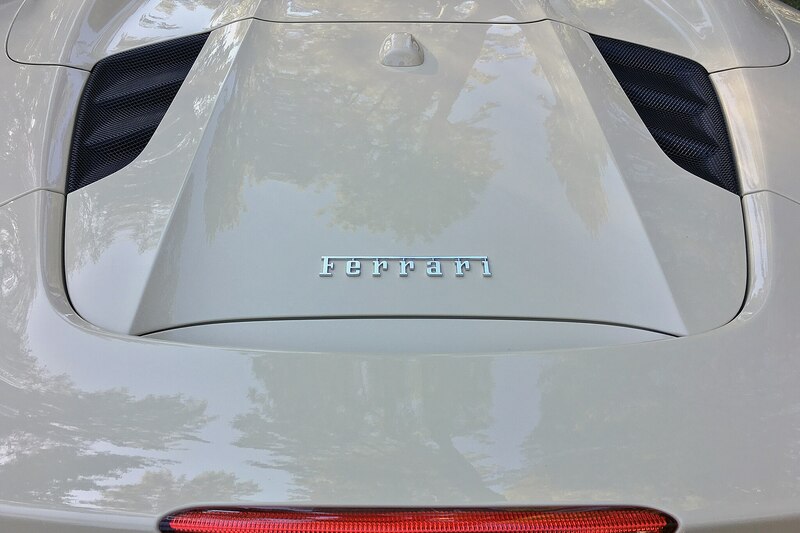 My test car’s wheel also featured a row of LED redline indicators on top—très Grand Prix. 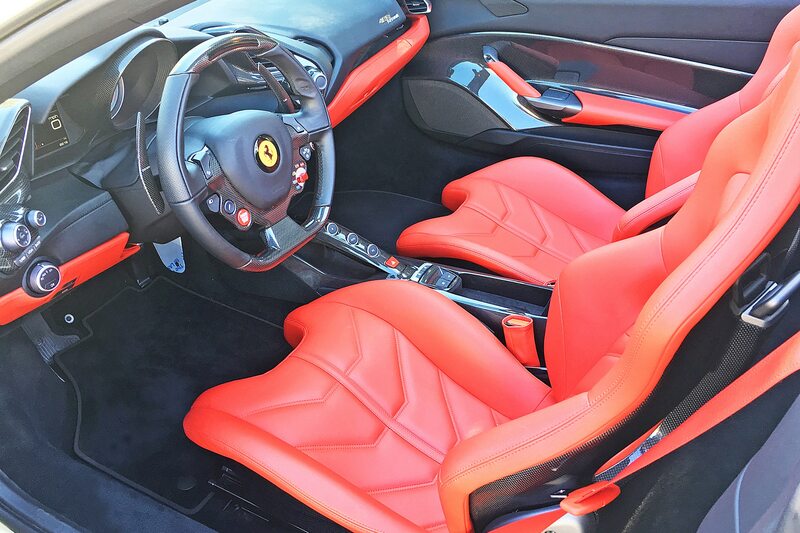 The leather racing seats with carbon shells ($9,110) fit my backside to perfection. 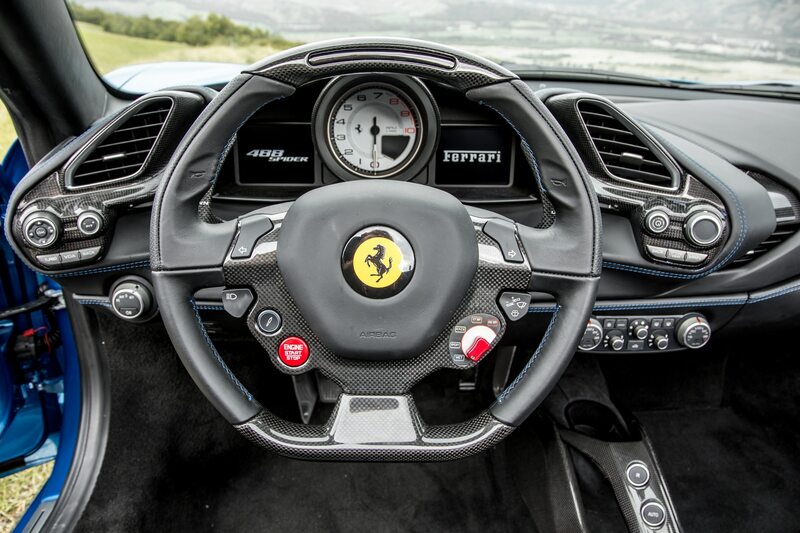 Elsewhere, the cockpit fairly gleamed with lusciously polished carbon-fiber trim (indeed, this tester sparkled with a staggering $72,370 worth of optional carbon-fiber interior and exterior pieces). 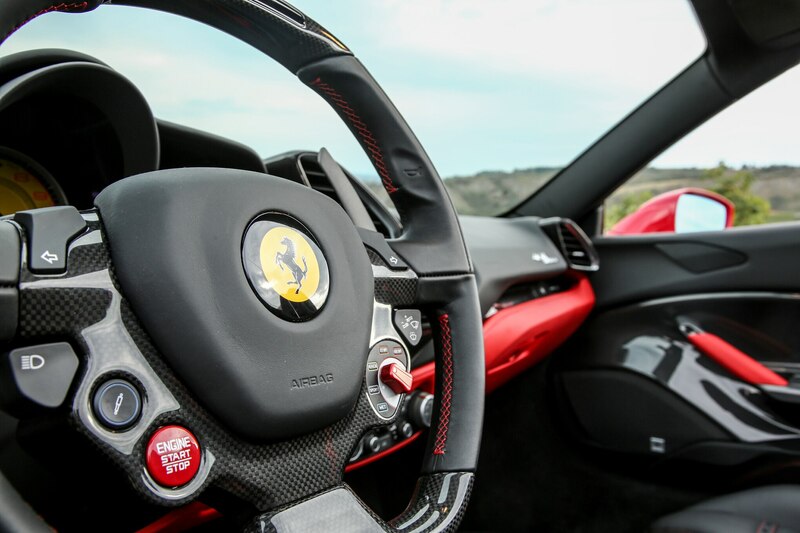 No giant central touchscreen in this sporting purebred. 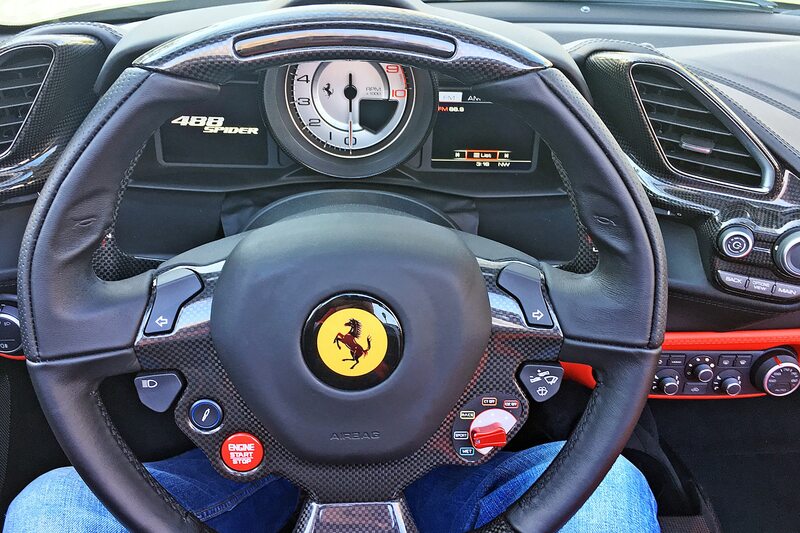 Instead, the 488 presents you with a big central tach and, at left, a useful multi-function display. 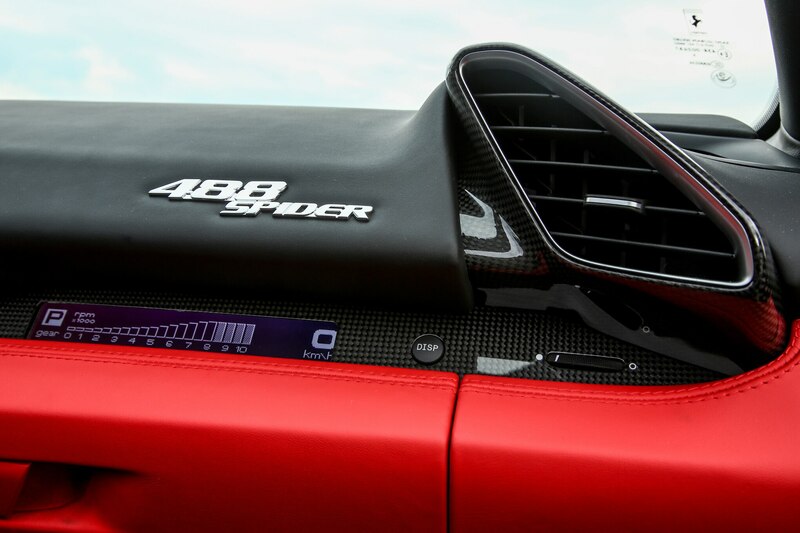 Yes, at $393,411 as tested this Spider was breathtakingly expensive—but it looked the part down to the smallest detail. 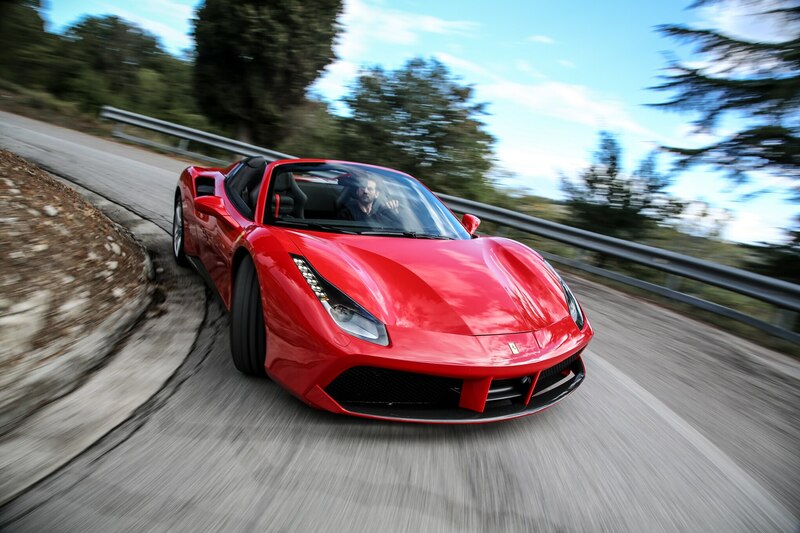 As striking as this machine is to the eyes, though, to the senses it’s simply boggling. 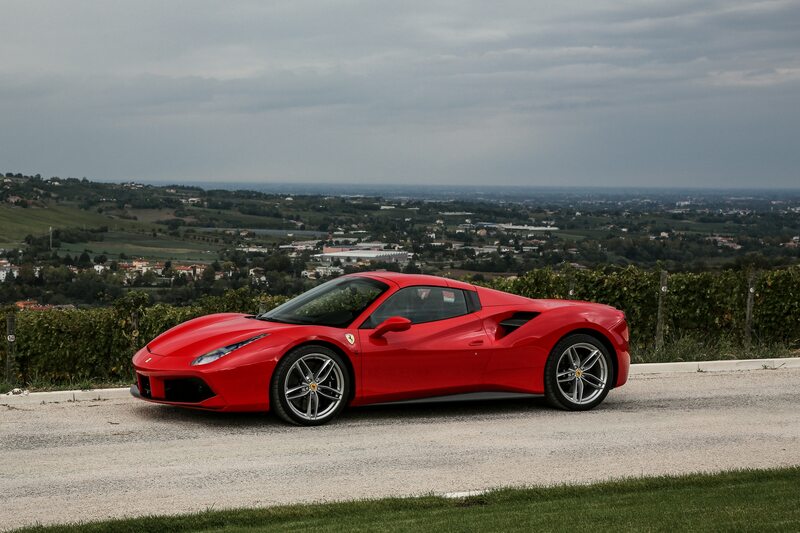 Now, there are loads of quick cars on the road these days, but honestly few of them really blow me away with acceleration or handling prowess. 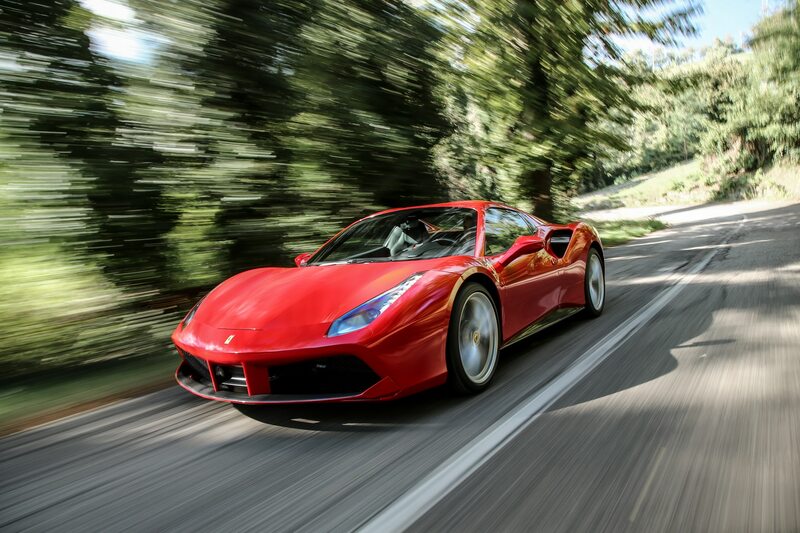 This Ferrari, though, feels insane in every degree around the friction circle—braking, cornering, and accelerating. 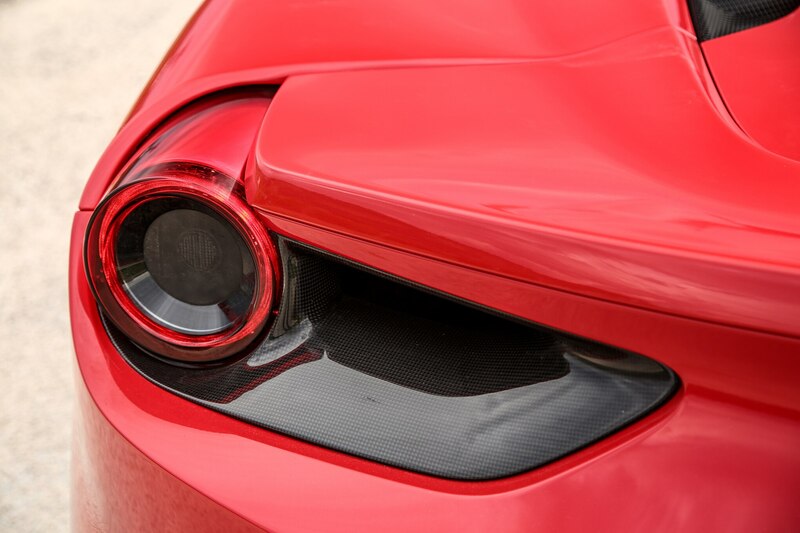 It’ll crush you into the seat under full throttle, hammer you into the belts under braking, and roll your eyes around their sockets when your wring it around a long corner. 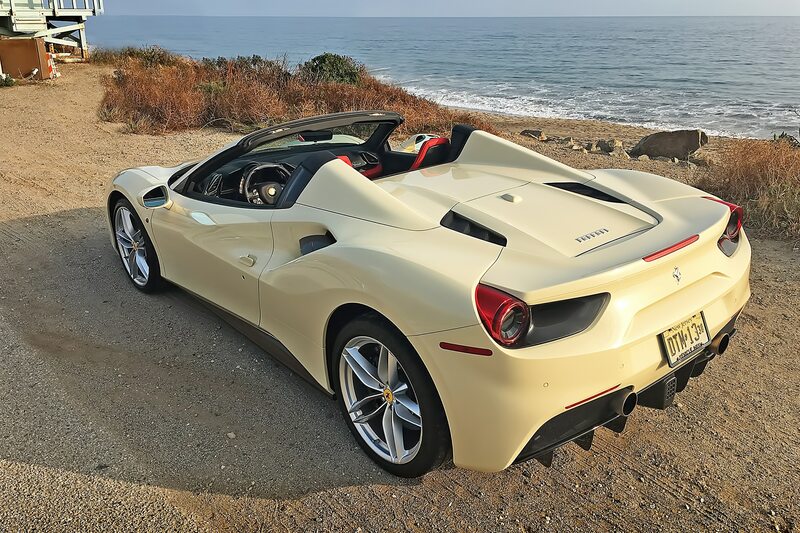 After a few minutes gunning the Spider through my usual mountain test route in Malibu, I had to pull over and depressurize. 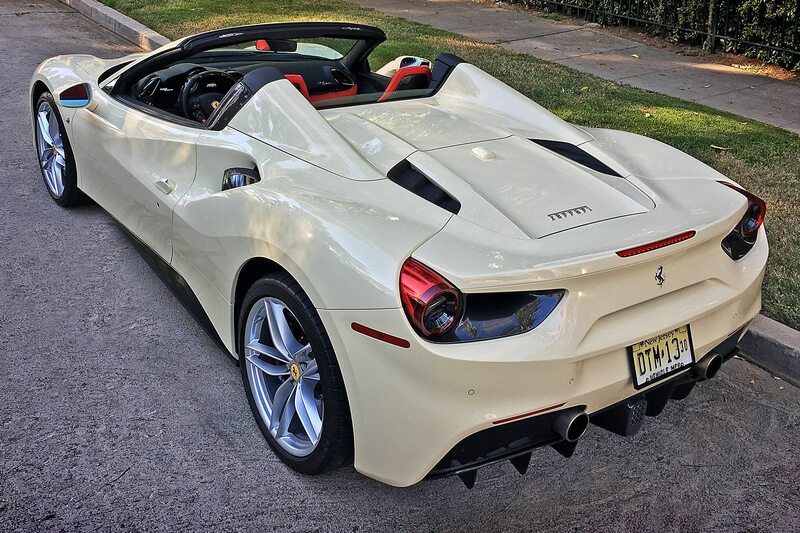 Mind you, the sensations you feel driving this car hard are only magnified with the top down—the air whooshing past, the engine wailing behind your ears, the squeaks and squeals of the nearby tires scrabbling for grip as your rocket into and out of turns. 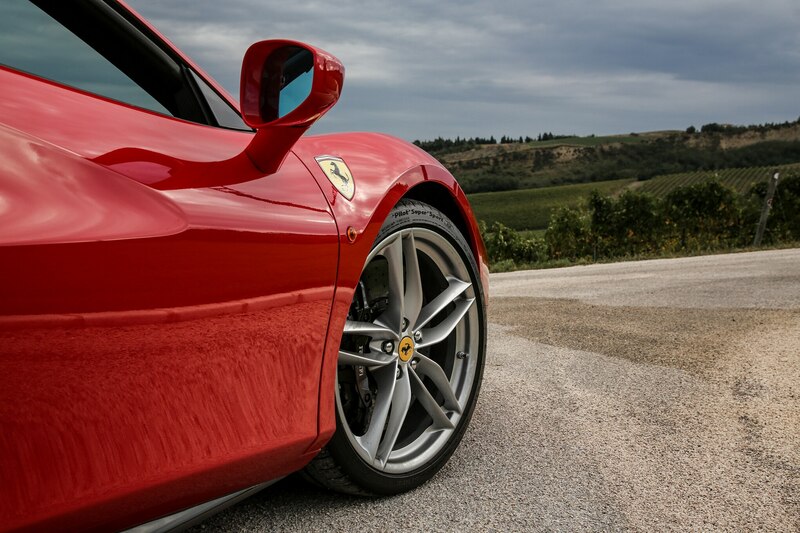 You can even smell the speed—the hot, hard-working rubber, the acrid exhaust, the scent of adrenaline filling the air as nearby birds and squirrels dive for cover. 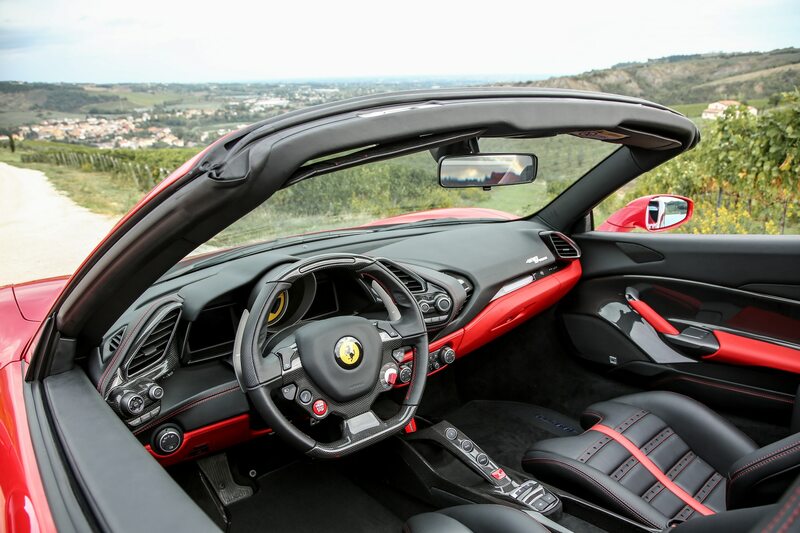 And no worries if a raincloud suddenly appears, just press a button and in seconds the Spider seals up as tight and secure as a conventional hardtop. 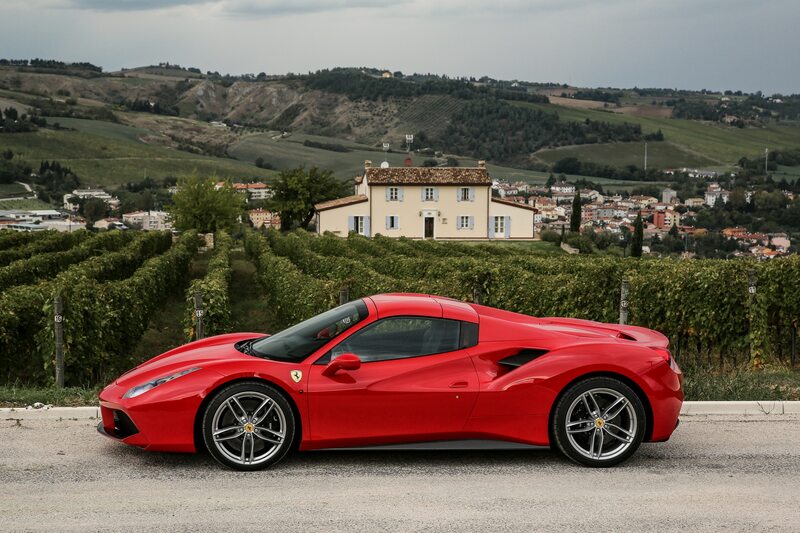 If I were lucky enough to be shopping for a car in this lofty realm, no way would I even consider the Spider’s fixed-roof sibling. 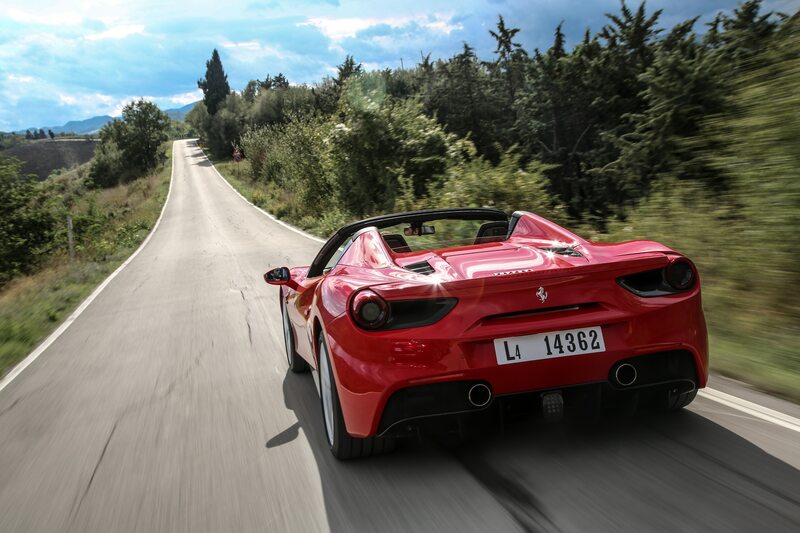 Mind you, the Spider’s stupefying speed and all-around athleticism don’t mean you have to make sacrifices elsewhere. 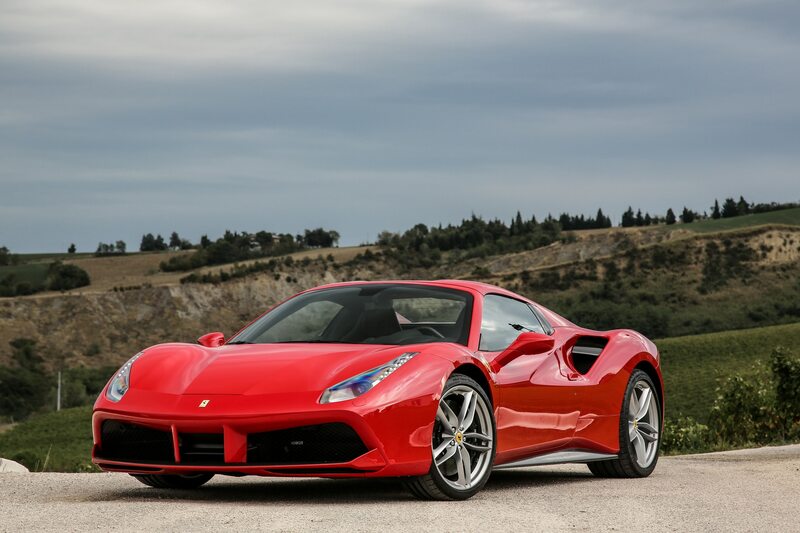 That’s this 488’s true brilliance: It’s a supercar without penalties. 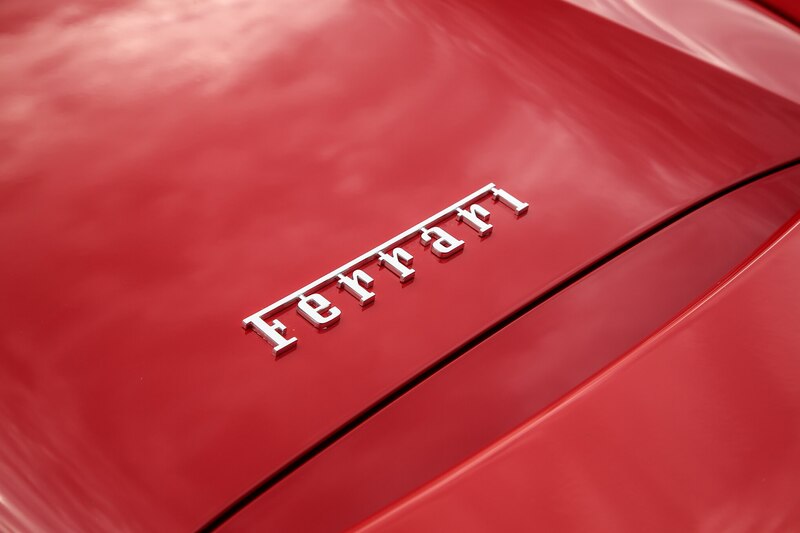 Have a day filled with a busy schedule of errands? 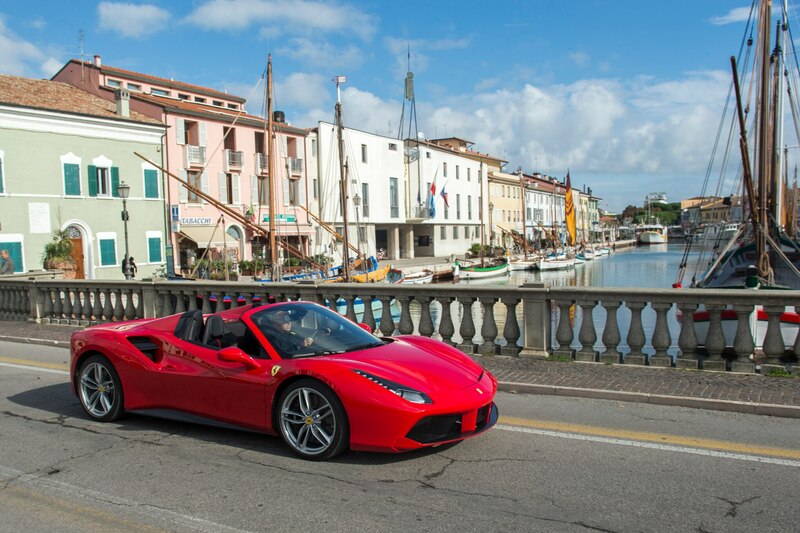 No problem: The Spider will transport you around town smoothly and without complaint—even if you’re languishing in traffic. 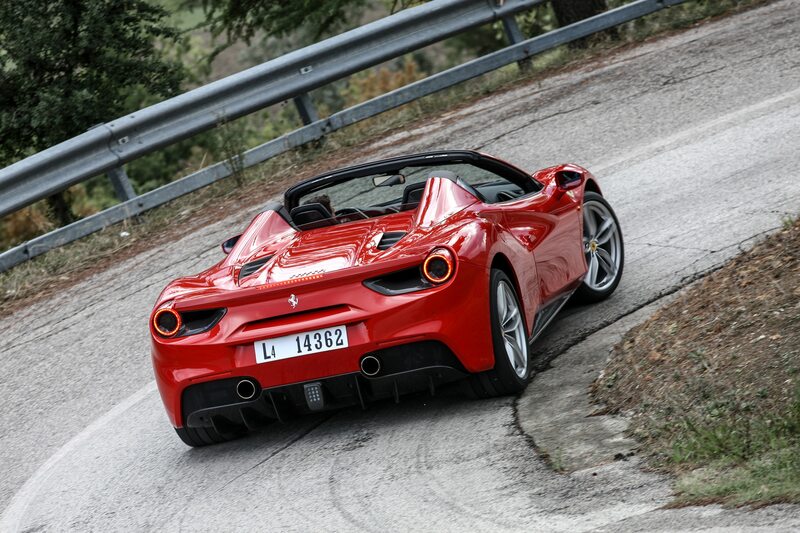 In Sport mode, the ride is actually really damn good (it gets quite a bit stiffer in Race). 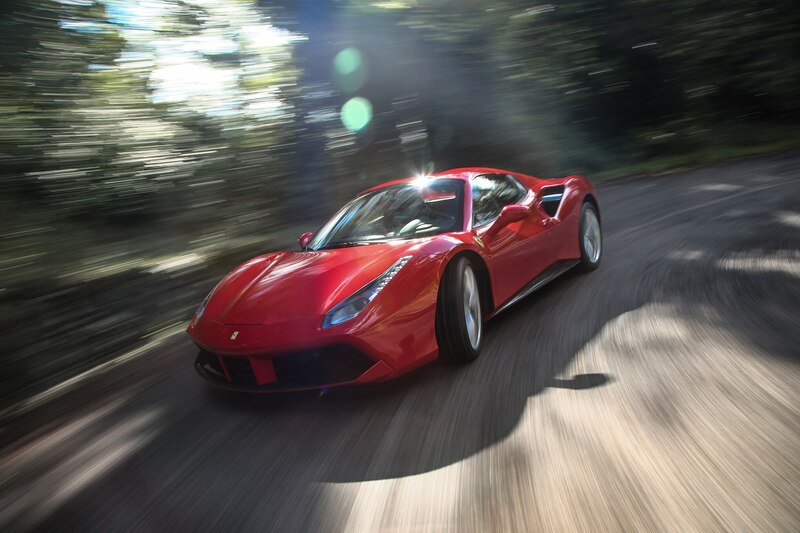 Like so many other Ferraris, the 488’s suspension feels magical, somehow delivering extreme grip and cornering response yet seeming to float above the asphalt like a hovercraft. 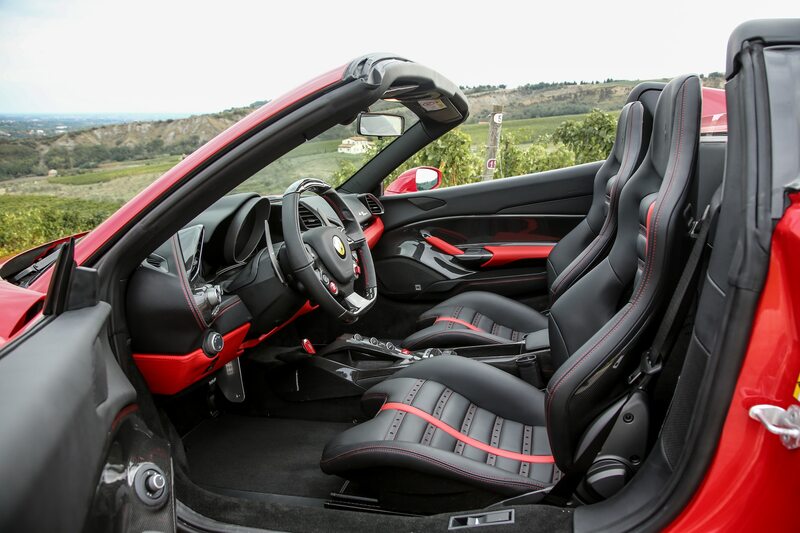 The seats, despite their racy bolstering, never felt too tight or fatiguing. 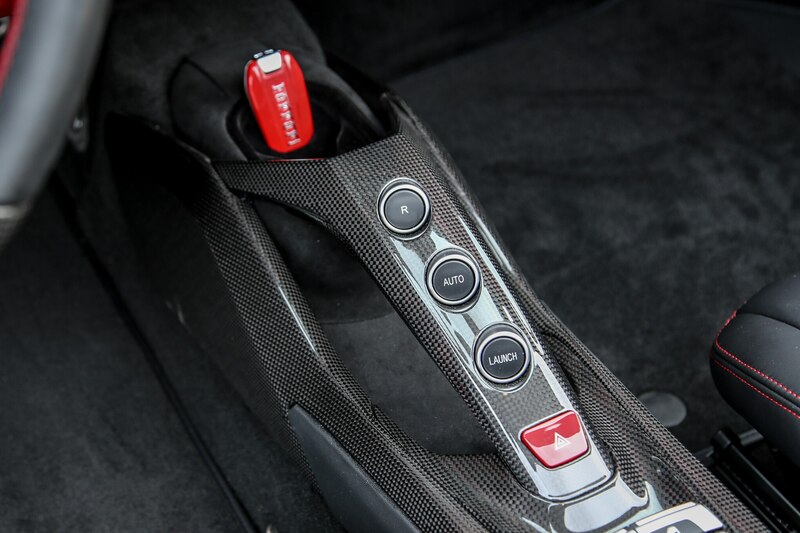 And if you’re feeling especially lazy, just leave the seven-speed dual-clutch transmission in “automatic” and it’ll happily do all the shifting for you. 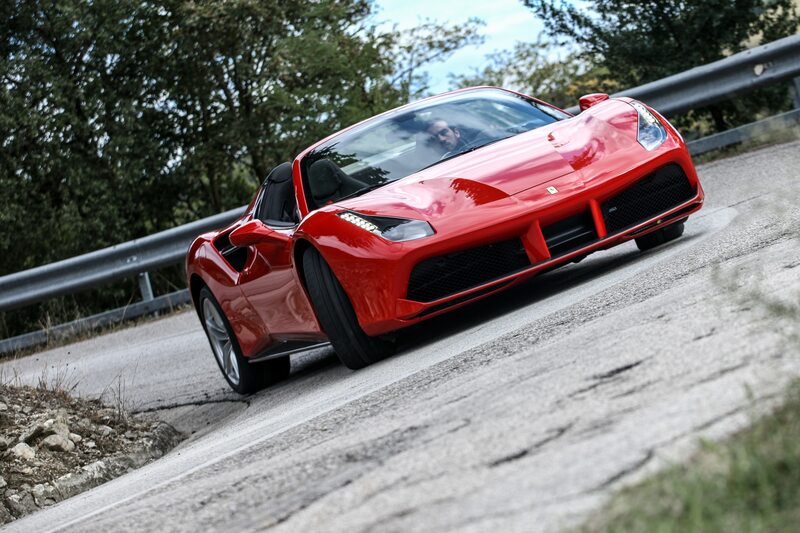 I have to add this as well: I’ve been driving Ferraris on the road and on racetracks for decades now, and never—not once—have any of them so much as hiccupped under my watch. 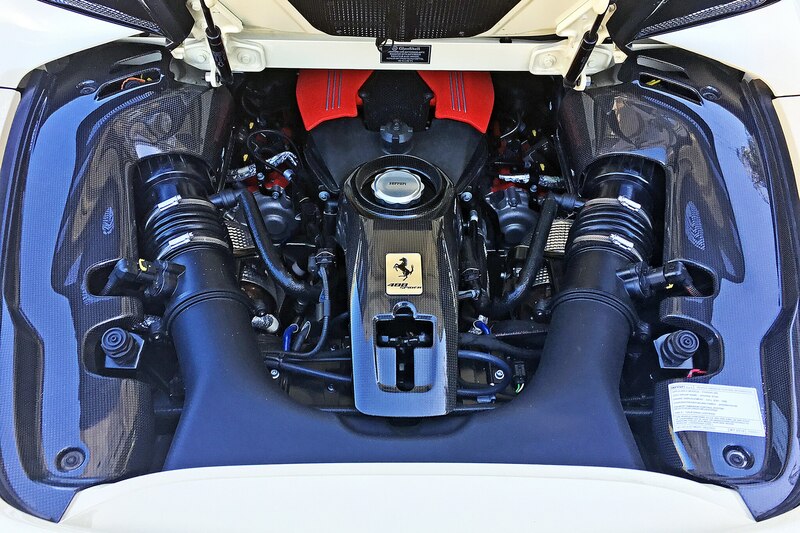 Finely tuned these machines may be, but highly strung they aren’t. 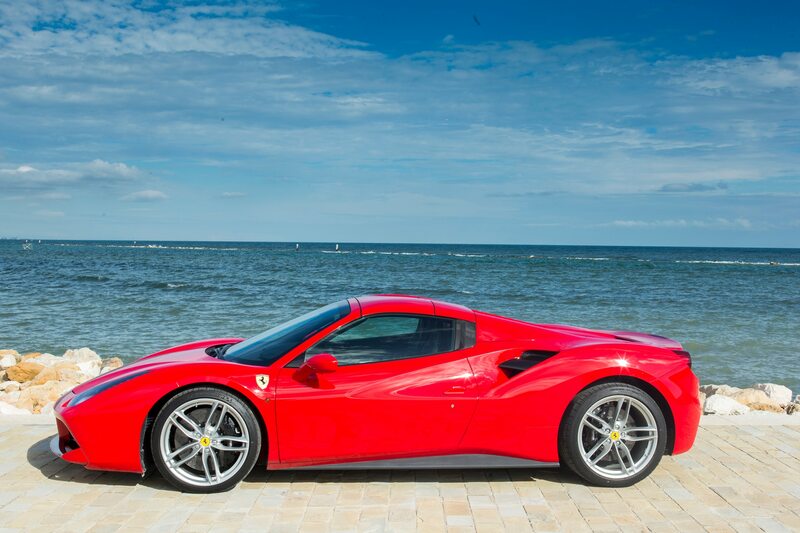 With one of these cars, you could win a local race event over the weekend, then drive it from home to office and back the rest of the week. 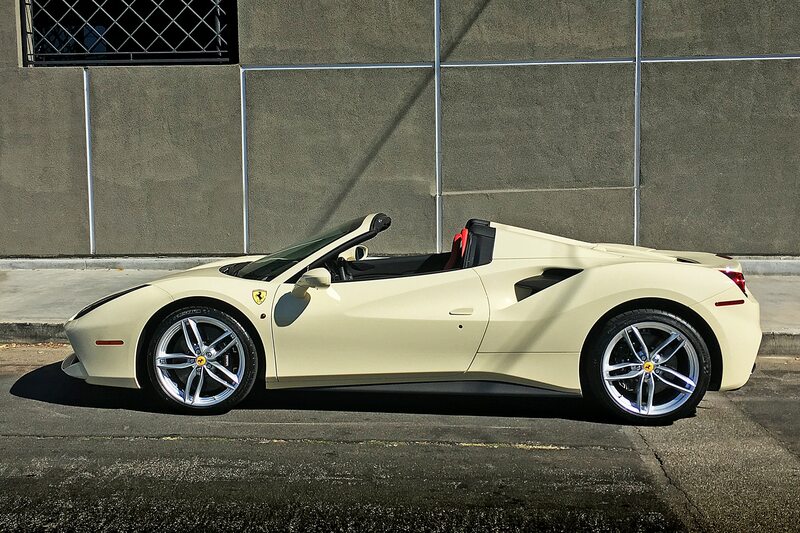 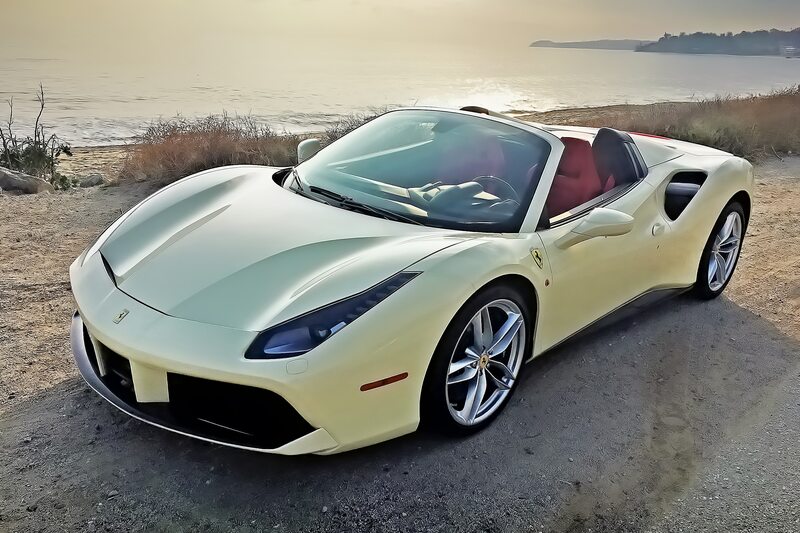 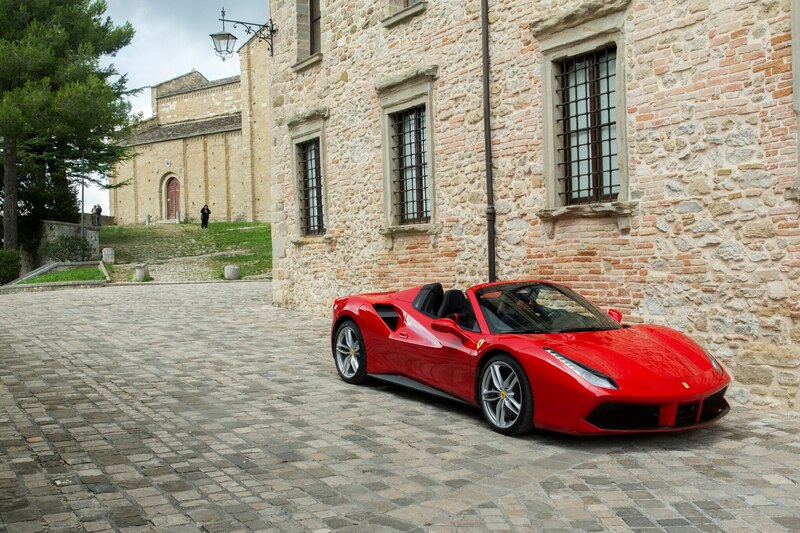 The 488 Spider is built to pamper you—not the other way around. 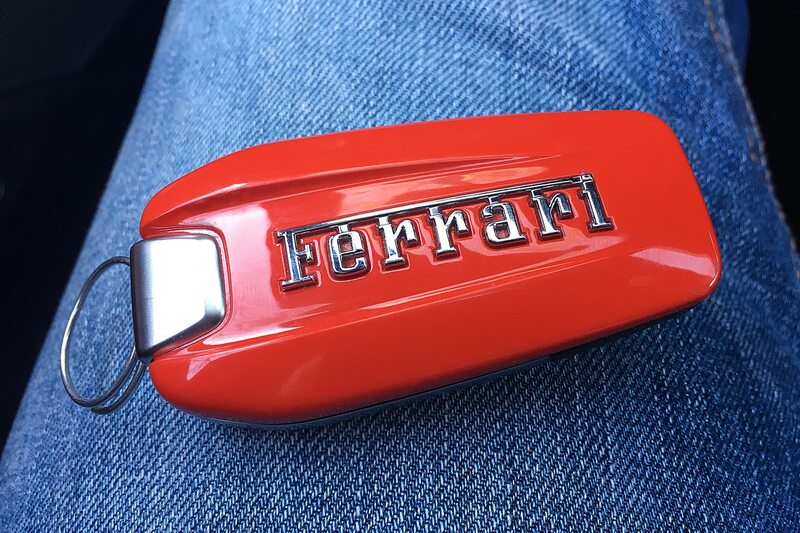 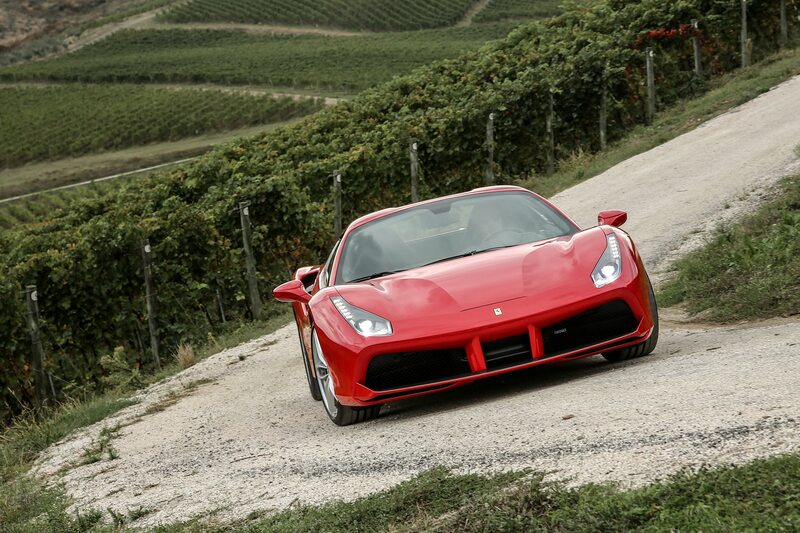 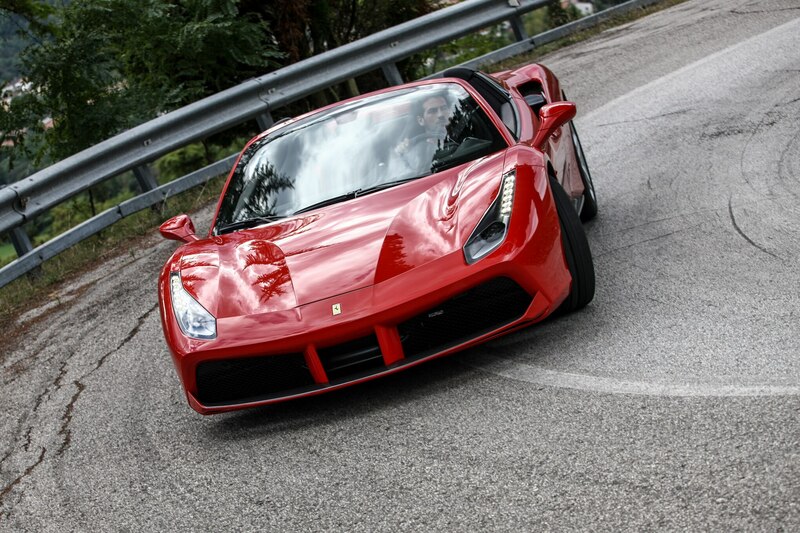 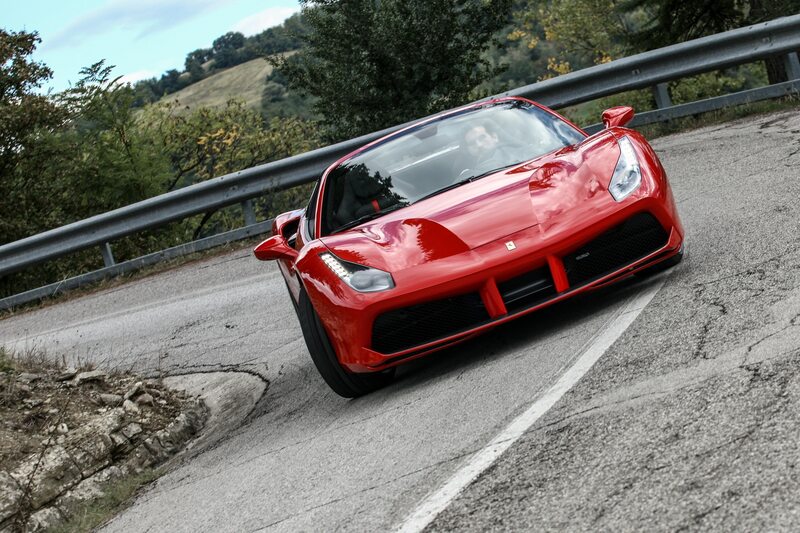 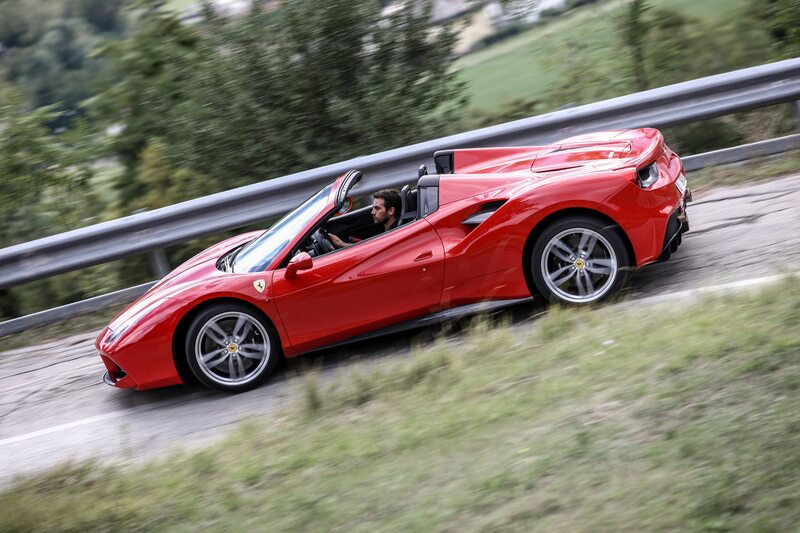 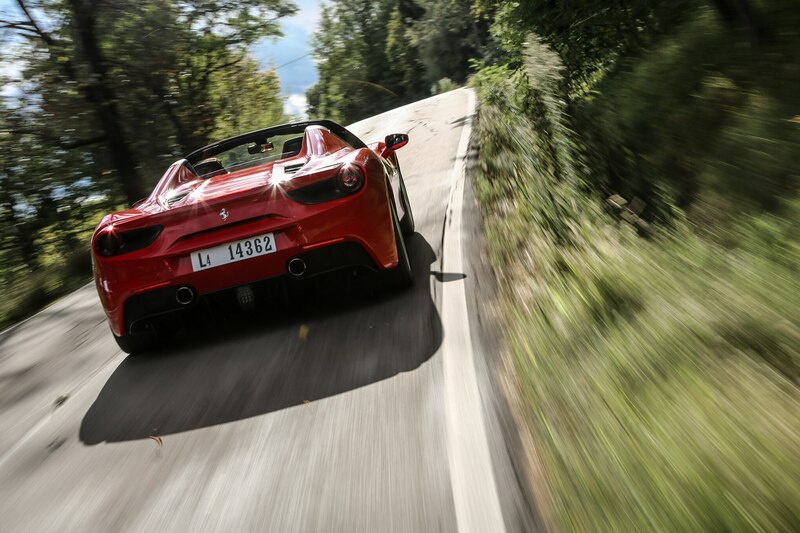 Then there is the coup de grace in driving a Ferrari day-in and day-out: every moment behind the wheel is special. 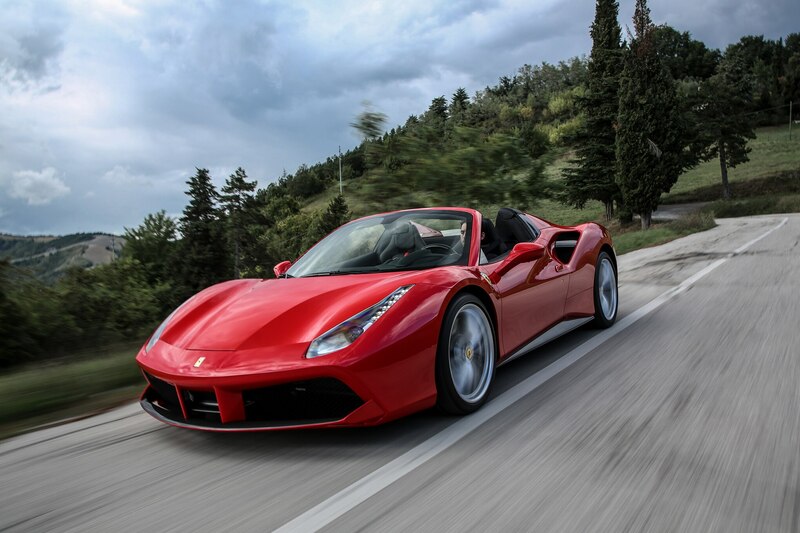 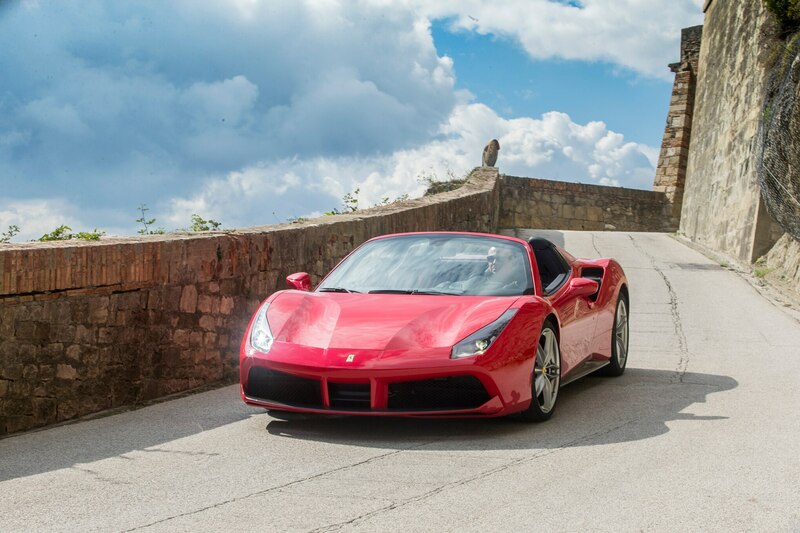 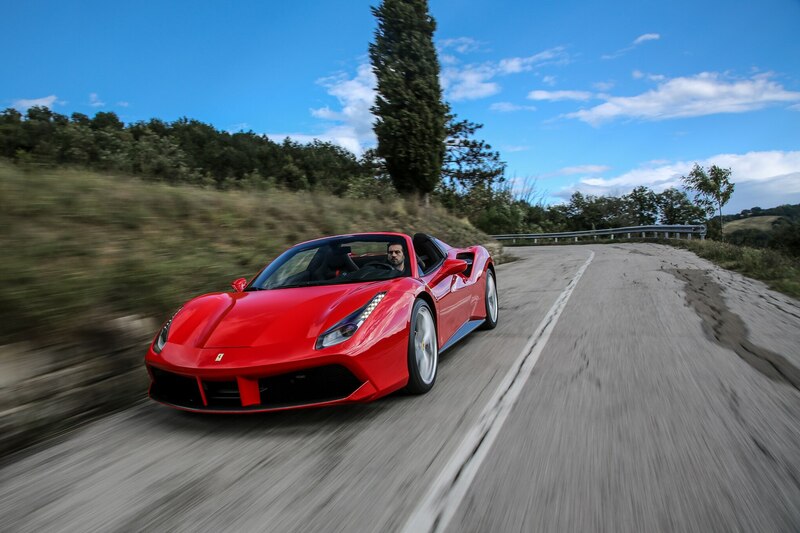 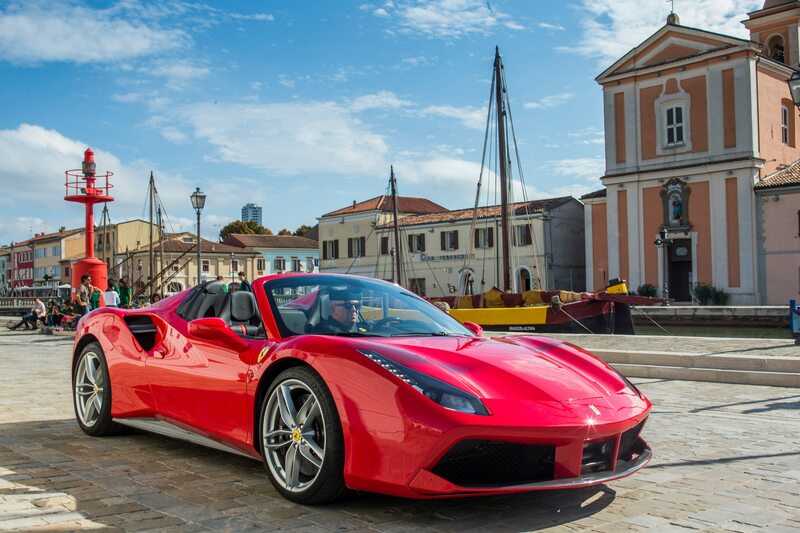 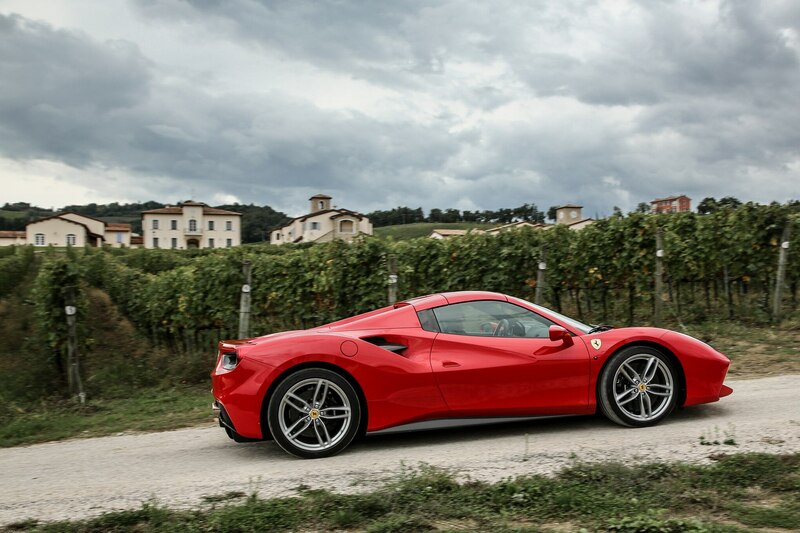 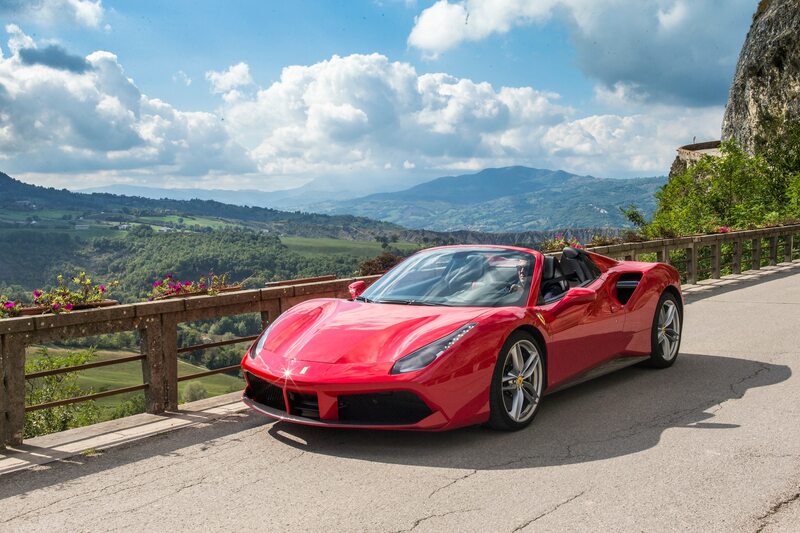 The 488 Spider just oozes character, from its rakish lines to the aroma of its leather hides to the changing tenor of the engine as the tach needle crosses 3,000 rpm (the exhaust note goes from a sotto voce grumble to an exhilarating snarl so quickly, you simply can’t escape the car’s overwhelming charisma). 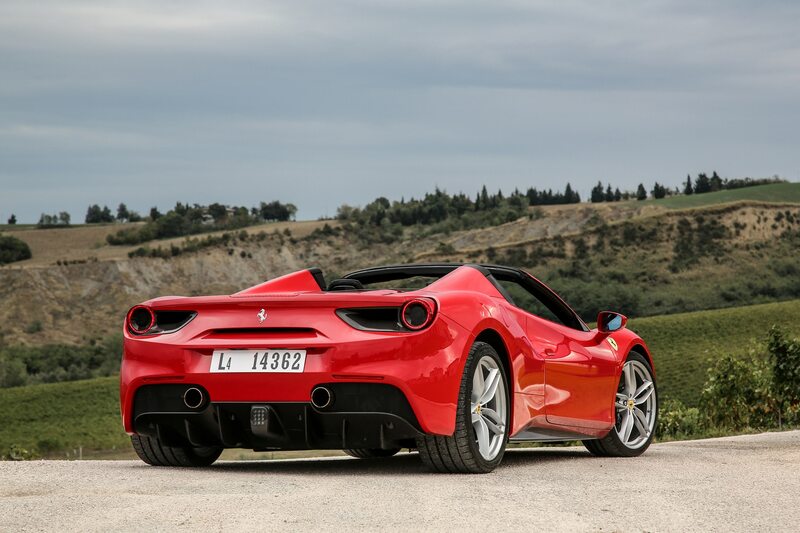 Other cars may do some things better, but no other car does so many things as brilliantly and alluringly as the 488 Spider. 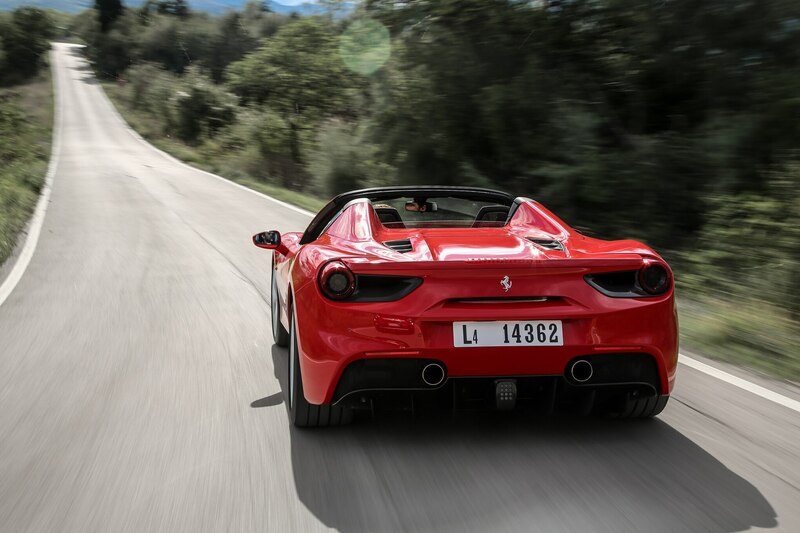 To pilot this Italian masterwork is to feel enveloped by specialness every moment you’re at the wheel. 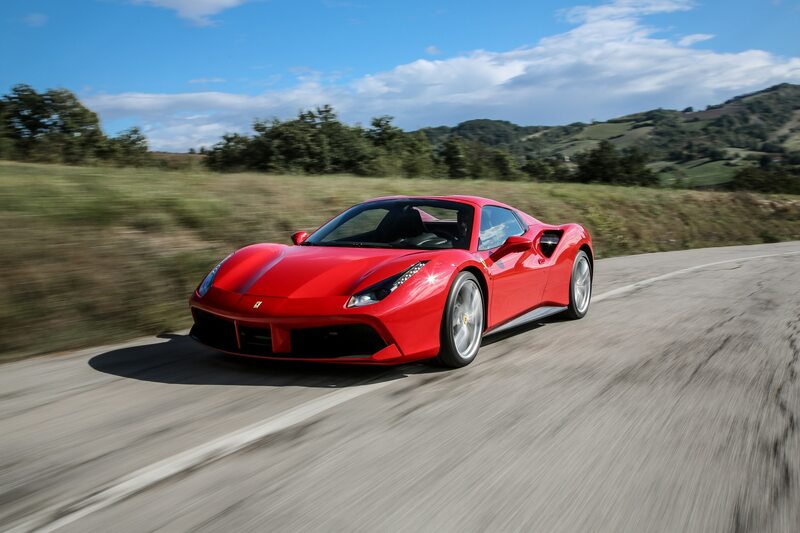 Having the wind and sky along for the ride only makes the 488 experience that much more visceral and compelling.